Moscow is a cosmopolitan city boasting of numerous nationalities and ethnicities alike. The city also has some of the best food that the world can offer but only if you know where to look. In the city of Moscow, you can find cuisines from all countries including French, Asian and Italian though Russian meals stand out. Therefore, you need an exclusive travel guide on Moscow to provide you with vital information regarding the city. 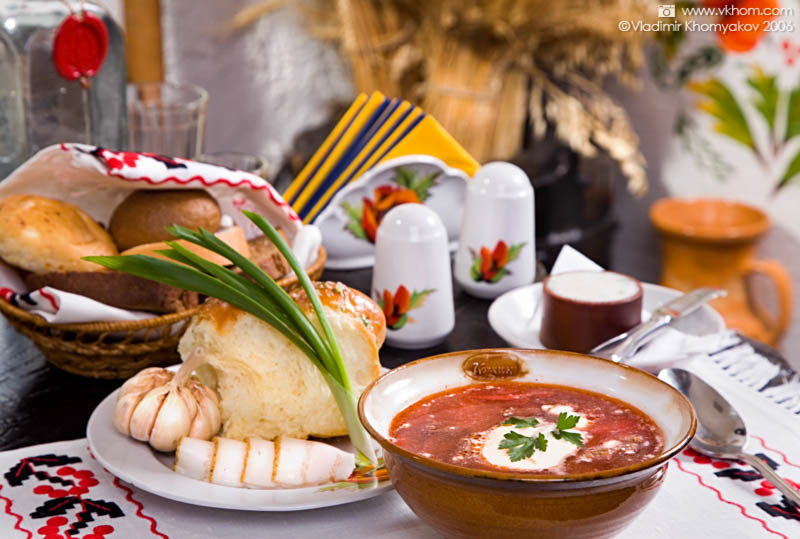 I have compiled some of best traditional Russian meals and where you can find them in Moscow. This is one of the most popular Russian meals. It is basically a good hearty soup comprising of carrots, potato and beef chunks as well as nourishing julienned beets. 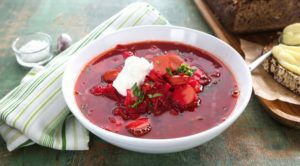 Borscht is spiced with magenta-hued broth then finished with a dollop of Smetana (a Russian sour cream) and a sprinkling of cilantro. The meal can be bought at Mari Vanna in St. Petersburg. 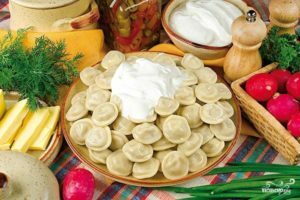 Pelmeni is a Russian meal made mainly from a wild mushroom called pelmeni. This is the best meal that you could taste in Moscow. Moreover, it is preferred a lot by most tourist and that is why it is overpriced at times. For a relaxed lunch that will give you more energy to conduct your tours in Moscow, you could try the Pelmeni dish. Lepyoshka is also known as Bukharian naan bread. It is a lighter version of the Indian naan bread made with puffy edges after being baked in a tandoor-style oven made of clay. Sometimes, the bread may be served with potato, cheese or meat. 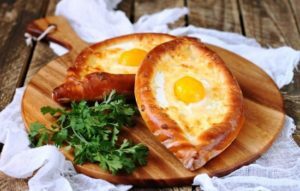 The khachapuri is a Georgian meal. Well, currently Georgia is not part of Russia but was part of the Soviet Union. 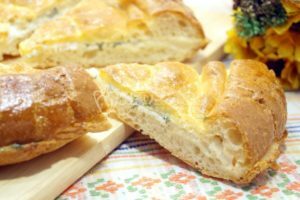 The dish consists of piping hot breads that are stuffed with the famous Georgian Sulgini cheese. The dish can be found at Café Khachapuri, which has several locations within Moscow. 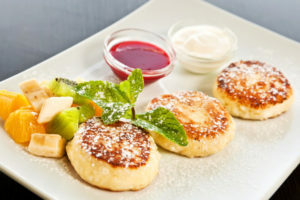 Syrniki is almost similar to ricotta pancakes although it is thicker. It is further sweetened with homemade jam. The meal is good for breakfast. Turandot is an uptown eating joint that needs deeper pockets. The restaurant is designed to perfection with baroque flourishes, which create an exquisite dining experience. Moreover, the menu is exemplary with local and international dishes. However, Turandot offers the best services to its customers and thus you will definitely be satisfied. Oak Hall at CDL is definitely one of the best places to visit whenever you are on an excursion in Moscow. You will have the best experience thanks to its lavish interior design. Besides, that it is the finest place to get a taste of real traditional Russian cuisine. Interestingly, it is also one of the regular restaurants for visiting dignitaries. Well, if you would like to dine like a Tsar the Café Pushkin is your ideal place. Café Pushkin is historic offering impeccable meals and services. This is the finest café for pro-Russian or French dishes. Prices for the meals at the café match its elegance. The ground floor is classy featuring the design of an old pharmacy while the preceding floors have a classical library. Whenever you visit Moscow, do not forget to check in at the Café Pushkin. Mu-Mu features a wide range of Russian dishes not to mention vegetarian options as well as borscht that is meat-free. Honestly, no hotel, café or restaurant compares to how traditional Russian food is served at Mu-Mu. Furthermore, it is easy to get to the café thanks to the Friesian cow that is uniquely placed outside its premises spread across Moscow. You can also eat shish kebabs, cutlets, and salads at this amazing café at cheap prizes. The setting of the canteen is what makes it o stand out. It is based in a 19th Century mansion which is modernized featuring a stylish surrounding. It offers a wide range of salads, desserts, main courses and soups that you can choose from. Finally, its prizes are pocket-friendly. If you love beer then Kruzhka is the joint to be. The logo of the joint which features beer mug is welcoming. Besides beer, the joint also offers food including chicken wings, roast tout, and soup. It has branches across Moscow and it is affordable. MWith all this information on food and where to find it, I hope you will enjoy your visit or tour in Moscow. Russian traditional dishes are extremely delicious and any of the eating joints that I have mentioned will definitely offer you what you need.